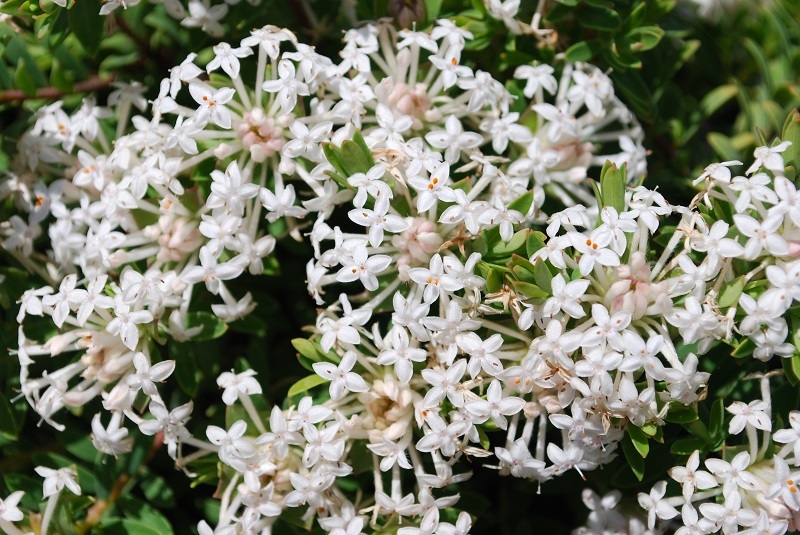 A dense, small shrub or ground cover plant, displaying white rounded, snow-like flower heads spring to summer. 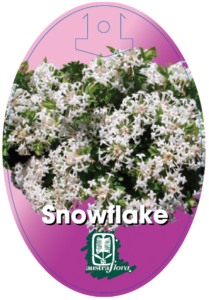 Suited to cool temperate, sub tropical and semi-arid climates; neutral to acid pH soils. Gorgeous low maintenance container plant for patio, deck or balcony; outstanding along pathways, or combined with bold rockwork. Prune lightly after flowering. Feed with low phosphorus native fertiliser.